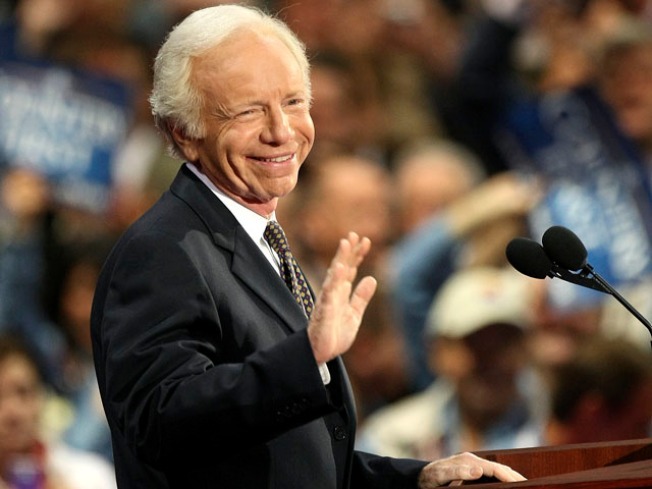 Joe Lieberman could be in for uphill re-election fight. Independent Sen. Joe Lieberman faces a major challenge between now and November 2012: how to keep his job. Political insiders expect Connecticut's senior senator to face of possible strong challenges from both the right and left. According to the Wall Street Journal, Lieberman hasn't yet decided whether to run, but if he did, it would likely be as an independent. Recent polls show his approval ratings here are in the 30s, and state Democrats seem to have a lingering sour taste in their mouth from the 2006 election when he ran as an independent. Gary Rose, a professor of politics at Sacred Heart University in Fairfield, told the Journal that Lieberman "is persona non-grata to Democrats because he's burned too many bridges with them." The list of potential Democratic challengers includes newly re-elected Congressmen Chris Murphy and Joe Courtney, as well as former Secretary of the State Susan Bysiewicz. Murphy says he's "definitely considering'' a run for Senate. "The unfortunate nature of the modern Senate campaign is, you can't wait too long to make a decision,'' Murphy told the Journal. Lieberman could also confront problems on the right. Linda McMahon, the former WWE executive who spent tens of millions of dollars in her unsuccessful Senate run against Richard Blumenthal, is a strong possibility in a Republican primary. Quinnipiac pollster Doug Schwartz told the Journal the coming election looks more difficult for Lieberman than the one he faced in 2006, but don't ever count him out. "He's a smart, respected politician who fooled everyone in 2006 when he lost the primary and came back and won,'' said Schwartz.